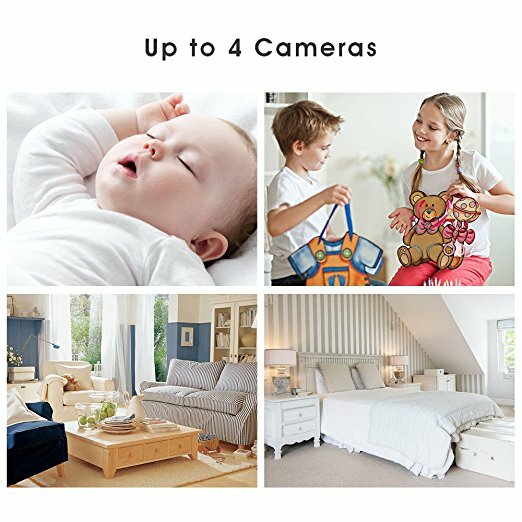 The DBPower Baby Monitor expands to 4 cameras! 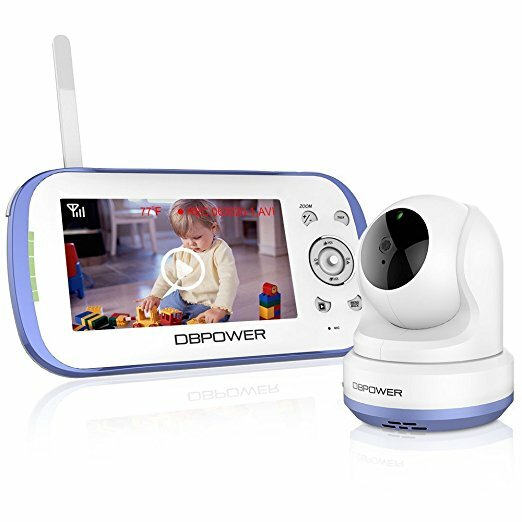 There are not many baby monitors that let you use up to 4 cameras with one handheld monitor , for most its just one camera to one monitor – so the DBPower Baby Monitor is definitely worth a second look. 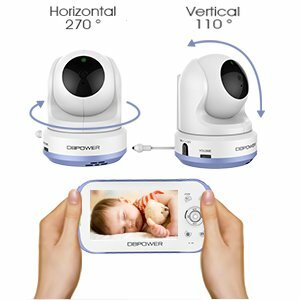 How do you use the DBPOWER Baby Monitor? 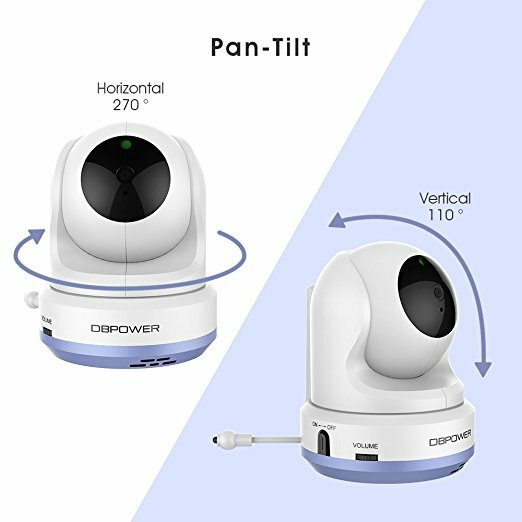 The pan-tilt-zoom function lets you remotely control the angle of the cameras from anywhere within the 1000 ft range of the camera (270 degrees horizontal x 110 degrees vertical). 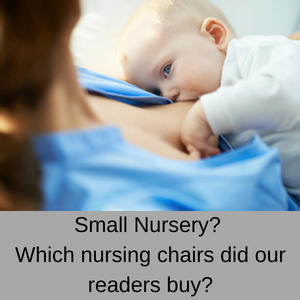 This means that if your little one is racing across the floor of the nursery, you can catch them on video and head back into the house to recuse them! 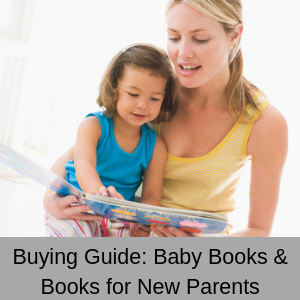 You can also make video recordings when they are sleeping, learning to walk or say their first words and load them to your social media page for everyone to share. 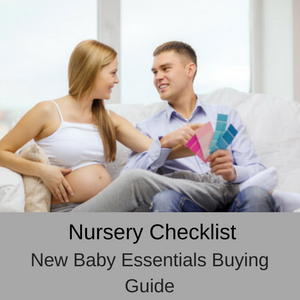 The automatic night time vision lets you clearly see your little one during the night on the handheld monitor and if they wake during the day or night, you can set it to send you a notification. 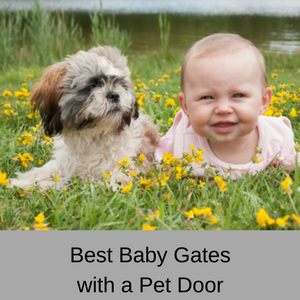 You can also comfort them when they wake using the two-way communication or turn on a lullaby while you head off to the nursery. If you want to maintain a certain temperature in the nursery you can set the monitor to alarm when the ambient temperature increases or decreases outside of your set range. 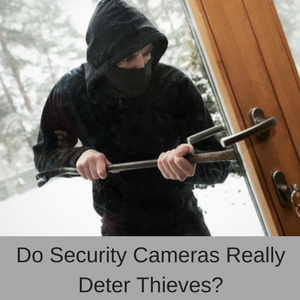 Adding more cameras to your home is easy and you only need to use the one handheld monitor to view all four cameras at one time. 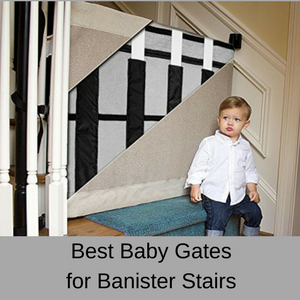 This is great when your little one starts scampering around the house! The handheld monitor uses a lithium rechargeable battery that lasts for up to 9 hours, but the camera needs to be plugged into the mains power to operate. 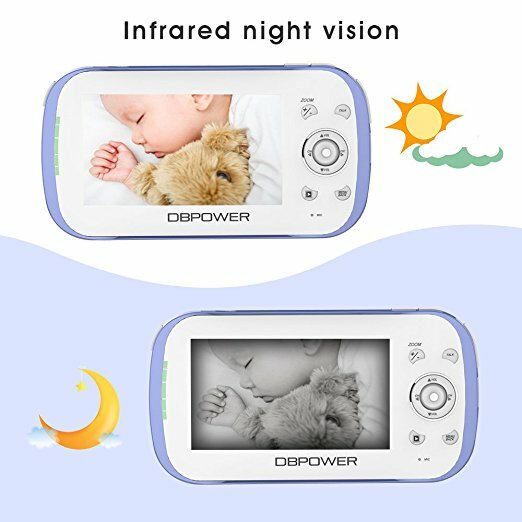 What do customers say about the DBPower Baby Monitor? 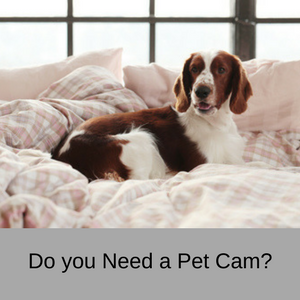 The camera captures more area compared to previous monitors, parent monitor lasts up to 4 hours after charged, the pan-tilt zoom feature is fantastic and the parent monitor is easy to use. 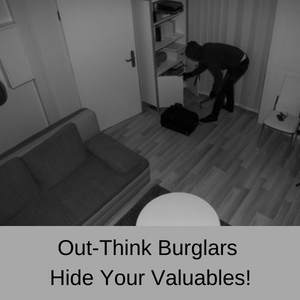 Video is clear and it is very easy to set up and use. I like that I am able to control and move the camera up and down and from side to side. My daughter likes to get up in the morning and play in her room and its nice to be able to scan and find her, instead of having to go in there. The other feature that I love is being able to see the temperature of the room. We have been having issues with our heat so it is great to just be able to look at the monitor and know it is a comfortable temperature. This is a really nice monitor. It has a color picture, I can talk to my babies from the other room, and it has great night vision and remote rotation capacity so I can see everything they are up to.